Obsessively engineered to allow you to go anywhere and shoot anything, the Optrix by Body Glove kit for the iPhone 6/6s transforms your iPhone into a rugged and waterproof adventure camera. 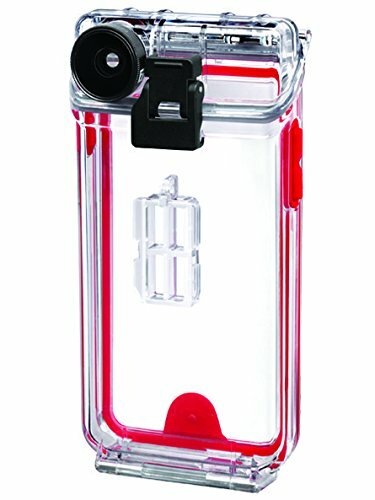 This mountable case with a unique interchangeable lens system is perfect for capturing photos and videos on your iPhone 6/6s in action-filled environments and sharing them instantly on social media. The Optrix by Body Glove Pro kit for the iPhone 6/6s comes with an Optrix Case, Normal 0˚ Lens, Wide-Angle 165˚ Lens, 2x Telephoto Lens, Macro Lens and Lens Case (additional mounts and lenses sold separately). View More In Cases, Holsters & Clips. If you have any questions about this product by Optrix, contact us by completing and submitting the form below. If you are looking for a specif part number, please include it with your message.